If you are a homeowner, its very likely that your mortgage payment is the largest outflow item on your budget. Wouldn’t it be great to eliminate that expense? 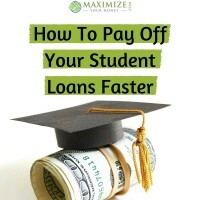 Think of all the financial goals you could accelerate if you didn’t have a mortgage payment! Current mortgage interest rates (2016) are near historical lows with 30-year fixed rates below 4% and 15-year fixed rates below 3%. Just a single percentage point difference in an interest rate, on a $200,000 loan, can cause about $45,000 difference in the total amount of interest paid. That’s a lot of money! If your current mortgage rate is higher than the current rates, and you don’t have plans to move anytime soon, then refinancing is definitely worth considering. Besides interest rate considerations, also think about the term of your loan. The difference of interest paid on a 30-year fixed mortgage and a 15-year fixed mortgage – even if the interest rate is exactly the same (which it isn’t; shorter terms have lower rates) – can be as much as half! Yes, on a 15-year term fixed-rate mortgage you might pay 1/2 as much total dollars of interest… and the house gets paid off twice as fast! Most of your mortgage payment in the early years goes toward interest costs. A $926 payment in the first year of a mortgage likely includes over $600 worth of interest. That’s right, you are paying twice as much toward interest as you are paying toward the mortgage balance. Say you have a $200,000 mortgage, over a 30-year term, with a 3.75% interest rate – the monthly mortgage payment (principle and interest) would be about $926 per month. If you were to add $100 per month to the payment, this home would be paid off five years faster. Let’s say you have already knocked out your consumer debt and are now very serious about getting the mortgage paid off quickly. If you bump the $100 up to $500 per month extra, the house will be paid off in 15 years. Think you could find a total of $1,000 per month extra to add into the mortgage payment? If so you can have this house totally paid off in 10 short years! Wow. Great, but that’s a lot of money isn’t it? It is and it isn’t. I think it is a lot of money but at the end of 2015 the average car payment in America was $482 per month, and many households actually carry two car payments. Avoiding car loans and using that money toward your mortgage can be the difference between 30 years of payments or just ten! While paying down your mortgage early has a very real impact every month, it isn’t always obvious and clear. Don’t wait ten or fifteen years to celebrate your success. Instead, track your progress regularly to help stay motivated and focused on the goal. A tool like Mint that can link your accounts makes it very easy to see your balance and watch it drop every single month. You can also play around with an early mortgage payoff calculator like the one on Dave Ramsey’s website to see the impact of the early payoff. 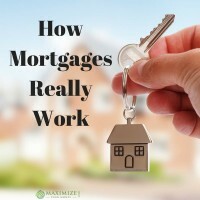 It will show the amount of money saved and the amount of time knocked off the mortgage term. Having that additional information can be highly motivational. What if you had no mortgage payment? Picture your financial situation if you didn’t have a mortgage payment at all. Whatever you are paying toward the mortgage right now could be reallocated to other priorities. 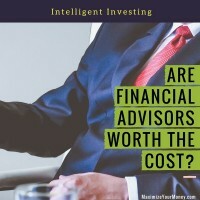 Perhaps putting a lot more money into your investments so that you can have a more fruitful retirement. Maybe padding the vacation fund a bit and taking that trip you always dreamed of. Even putting the money aside to pay cash for that new car you have wanted. Without the large monthly expense of a mortgage payment you would have a tremendous amount of financial flexibility for yourself. Think about what that life would be like, how much money you can free up to put toward this goal, and then put a plan in place to get totally debt-free, mortgage and all! 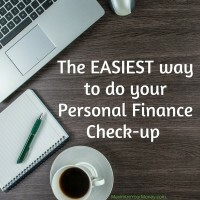 A financial coach can help you with these types of topics, assist with developing a plan, and also provide encouragement, accountability, and assistance as you work through your plan. 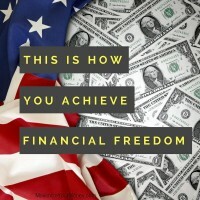 And did you realize that financial coaching sessions cost less than the average cable tv bill? 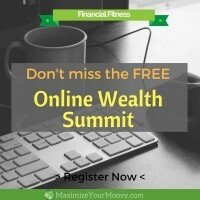 It’s an affordable and effective way to jump-start your path to financial success! If you want to learn more about the options and/or schedule coaching, just reach out to us on our contact page so we can arrange a time to talk.